The Best Prices. The Best Service. Guaranteed. I shopped for carpet for 8 months. Came back to Flooring Warehouse because they had the best price for the best carpet. Not only did they give me a variety of options for my project, they also gave me instructions on how to install them. 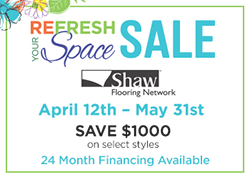 We have ONE MILLION square feet of ready-to-install flooring at Flooring Warehouse. Our staff has more than 60 years of combined experience in the field, and Our warehouse is OPEN TO THE PUBLIC – please come see us or call our Austin location at (512) 342-1834, Georgetown location at (512) 869-7711, Pflugerville location at (512) 291-2970 or Cedar Park location at (512) 986-7226. We make it easy for you to select the perfect flooring for your project because we pride ourselves in providing you with access to the best prices and products. As a local, family-owned and operated business, we work hard to maintain a relationship of integrity with you and our community. We value quality products and excellent workmanship. Our installations are professionally managed and always reflect the pristine care with which we complete all projects. Flooring should fit your lifestyle, not keep you from enjoying your home. We can help you create a pet-friendly great room or a dramatic dining room or a luxurious bathroom spa. We have over ONE MILLION square feet of flooring in-stock, ready to install in a variety of products and styles. Every room can be customized to fit design and lifestyle preferences. Contact us at our Cedar Park location at (512) 986-7226, Georgetown location at (512) 869-7711, Austin location at (512) 342-1834, or our Pflugerville location at (512) 291-2970 to begin designing today.